The original promise of the metric system was to connect all essential units of measurement (time, distance, force, etc.) to an unchanging natural law. To date, this has never been possible with mass, which was instead based on an object. Now, scientists may have finally found a way to conquer that challenge, eliminating a major source of uncertainty in the physical world. Lets’s see what that means and how it will impact physics, engineering, chemistry, math, and manufacturing. Why are Standard Units Important? We use metric units of measurement every day in our work, from measuring diameters in microns when CNC machining to weighing out grams of masterbatch pigment for plastic injection molding. Without them we would not have GPS navigation, the World Wide Web or smartphones. Our modern world would not function as we know it because we would not be able to make things accurately or precisely to close tolerances. Some of the standard units, like for time and distance, are based on unchanging constants that are true anywhere in the universe. 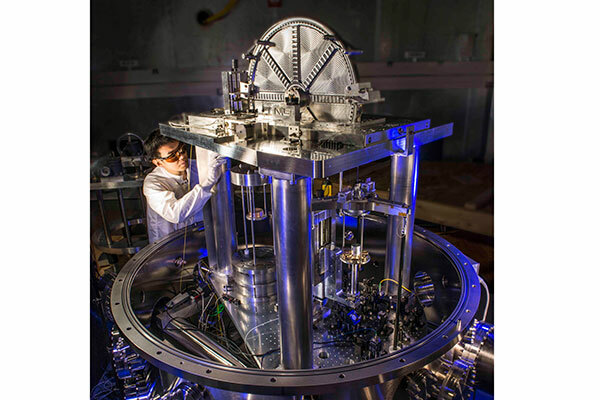 But, for the last 130 years, the fundamental unit of mass has been based not on a natural phenomenon but on a single man-made artifact, the kilogram. Housed under a nested series of bell jars, the “Le Grande K” represents the definition of a kilogram, or approximately the weight of one liter of pure water. When this cylinder of platinum and iridium was first made it was as accurate as the best machinists could make it, and it’s been carefully – even lovingly – protected ever since. But the kilogram is mysteriously losing mass over time, and copies of the kilogram around the world are not exact or consistent. 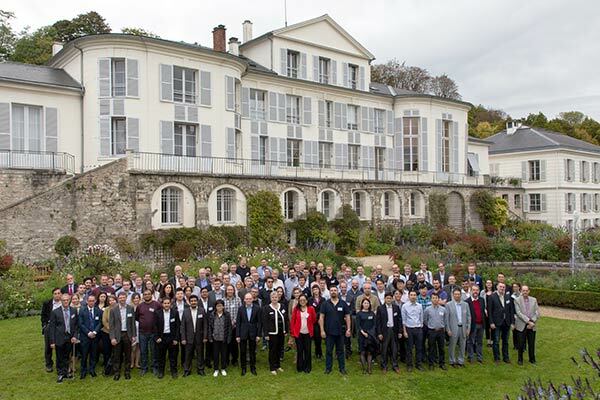 That’s why this week in Paris, hundreds of scientists from around the world will convene at the Palace of Versailles to redefine the kilogram based not on a physical object but on quantum energy. Why is the Kilogram Important? 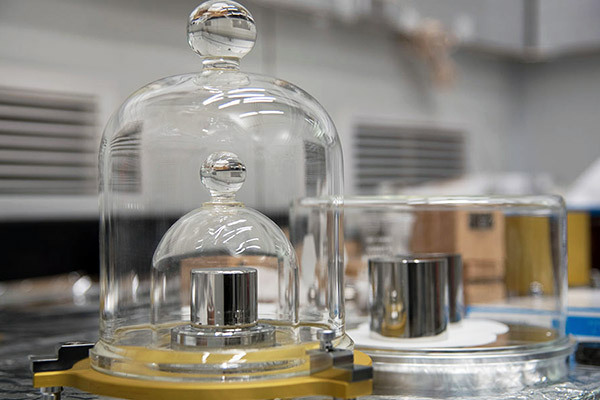 Not only does the kilogram define mass, but it’s also related to the measurements for temperature, electrical current and quantities of a substance. Obviously if there is any uncertainty or variation in these values, that would introduce levels of inaccuracy that are unacceptable for all aspects of science and industry. How will the Kilogram be Defined? Einstein proved that energy and mass have an exact mathematical relationship. In practical terms, this relationship can be used to determine how much energy, measured in joules, is needed to move a given mass. Calculate the energy and you know the mass, to an accuracy perhaps a million times finer than we can derive by weighing something. A Kibble balance is used to measure energy and relate it to electrical and mechanical resistance, from which mass is derived. So many of our most advanced devices are becoming ever smaller and more sophisticated, almost to the molecular level. For the next generation of sensors, nanomaterials, quantum computers, biomedical implants, wearables and other small components, more exacting standards of measurement will be required to improve manufacturing and testing. Most of us won’t notice this change, since we deal on a larger scale day to day. But scientists and engineers at the cutting edge of research will need to revise their textbooks. And, like so many revolutionary advances preceding it, what starts in the laboratory will eventually trickle down to the shop floor. We also love finding better, more accurate and precise ways to manufacture and measure the products we make. We’ll show you how when you upload your CAD files for a free quotation for injection molding, pressure die casting, metal 3D printing and more!